I think Danielle E. Shipley is just doing this all to spite me, really. She seems to have taken it upon herself to make a lot of self-published authors look bad. A couple of years ago she published Book One of the Wilderhark Tales – a clever reimagining of some classic stories and fables. It was entitled The Swan Prince, and it was very good. Now, with the pending release of the aptly titled The Story’s End, the 7-part novella series comes to…well, an end. “The Story’s End (Book Seven of The Wilderhark Tales”, coming October 13, 2015; now available to add to your Goodreads “To Read” shelf. You can buy and read the other six volumes from Amazon. Head on over to Danielle’s website to learn more about them. Can’t wait to see what you’ve got planned next, Danielle. In between running around like a madman these past couple of weeks, I caught up with Danielle E. Shipley to ask her some questions about writering and her latest book. So what have you got to say for yourself Danielle, eh? Eh? This is book 6 in The Wilderhark Tales. So that’s where we are as readers, but what about you as a writer – you must be at least one book ahead in your mind? Always one jump ahead, Disney Aladdin-style! I’ll be spending at least the first part of Camp NaNoWriMo (the spring/summer version of National Novel Writing Month) in April getting a collection of shorter Wilderhark pieces into publishable shape for Book 6.5 of the series – “The Sky-Child (and other stories)”. That will provide some additional context for how it all ends in Book 7. And I’m putting you all on notice right now: There will be heartwreck. …which may or may not be an actual word, but nonetheless describes Book 7 all too aptly. People might assume that by book six, you’ve got this whole book writing thing down. What specific challenges did book 6 provide? Every new story is its own beast – some of them even more beastly than others. Keeping everything straight in “The Surrogate Sea” was tricky, because the story isn’t straight. It twists and tangles all over the place, with a number of motivations in direct conflict with one another, and characters making their moves at supernatural speed. I had to keep a careful watch on the choreography of events to avoid a mess of implausible plot holes, and couldn’t turn my back on anyone for long, or they’d run smack into a corner there was no writing them out of. And then one of the main characters had to go and— well, I won’t tell you what she did, but let’s just say it left a lot of us pretty rattled. Do you have an end point in mind for The Wilderhark Tales, or will it continue as long as your funny ole brain comes up with ideas? There’s a definite end for the main series in Book 7, though it’s not the last you’ll see of the characters by a long shot. For one thing, see Exhibit A. For another, I’ve got legendary plans for someone who won’t be properly introduced until the last book, and as for the world as a whole… I’m still toying with ideas for down the road. Even a firm “The End” only means the end of so much. There’s always more story out there, somewhere, waiting to be discovered. Where do you keep the collected works of Danielle E. Shipley in your home? Special display cabinet? Glass case protected by laser beams? A shrine? Secreted behind a framed print of a mysterious woman attended by ravens and wolves on decrepit castle grounds. …No, wait, that’s my baby nephew’s room. The Shipley section of our personal library is duplicated on both my bookcase and my parents’, with Wilderhark Tales, my debut novel, and various anthologies in a steadily expanding row. Looking at the parade of spines is both gratifying and an obvious testament to my inclination toward shades of blue. Any other projects in the works you can give us a teaser for? Next on the publishing docket: The refugees of Skycastle survived the end of the world only to fall prey to the dreaded Lord of Wings. Together with an assassin princess, a young man gone mad with missing memories must venture into the monster’s mechanized fortress to vanquish him once and for all. But the threat against Skycastle takes a most unexpected shape, forcing both princess and madman to brave the pain of the pasts that left them broken. “A Mind Prone to Wander”, coming this summer! It will be my third short story included in a Xchyler Publishing anthology, and my first go at Steampunking a fairytale, so I’m pretty darn excited. You’ve published or been featured in several books now. How does the reality of the position you’re in now compare to how you imagined, all the way back before The Swan Prince? Oh, gosh, not counting some charity anthologies from a few years back, we’re at 10 books out in the world since the end of May, 2013. That’s… wow. I think I underestimated not only how fast I would move on my own (I’m a machine! Somebody stop me! ), but how many doors would open to me through independent publishing houses right when I’d determined to take my career by the horns. My past self being more optimistic than realistic, she figured I’d have more riches and fame already. And I mean, fatter royalty checks and exploding popularity still have their appeal, but in lieu of that, I’m happy with the work I’m getting out there, and my heart’s been touched time and again by some of the reactions I’ve gotten from readers. That’s worth a lot. I also probably trusted me to know how to balance work and leisure time better, by now. That’s cute, Past Danielle. Downright adorable. Does that feeling of holding your latest book in your hands in print form ever get old? Never. Stroking, smiling, and the sniffing of pages happens every time a new title arrives in the mail. That reliable high is part of the reason I stick with this authorial nonsense through thick and thin. When was the last time you read your earlier books? Have you ever read them back after all the editing/proofing/launching has been done? By the time I’ve gone through proofread number gazillion-and-nine with a Wilderhark Tale, I am heartily sick of looking at the text. I recently managed a brief glimpse back at the first few chapters of “The Swan Prince” – (heh-hey! That only took almost two years!) – but since each book of the series is an extension of the ones that came before, part of me is still wailing, “Too soon!” I think it may be different once I’ve had some closure time after Book 7’s left the nest. ‘Til then… time to sicken myself over the perfecting of the next book! These words will probably be lost amongst a sea of mourning, but that’s OK. I am just one among thousands who will be writing something like this. And in this case, perhaps it is more important to write the words, than it is to have them read. The fact my farewell to the great Sir Terry Pratchett will be eclipsed by better, more important eulogies is fitting. The outpouring of love for him following the news of his death earlier today will drown me out, and that is exactly what Terry deserves. With over 70 books to his name, Terry Pratchett managed a rare feat – to create fantasy that even the most snobbish of literary types could love and be absorbed into. He showed the true power of the genre: the power to say profound things about every aspect of our existence, far better and more clearly than its possible when you are confined to the realms of the real. The Discworld had such an influence on me as a writer. My work was often described as ‘Pratchett-esque’, to the point where I had to reign it in, for I wanted to be seen as more than a wannabe. As everyone does during their teenage years, I searched for a source of identity and inspiration. As a young writer, Sir Terry was a beacon of talent; a literary lighthouse that steered me towards new ways of thinking and of crafting with words. Even today I still dream and aspire to emulate his success. But never the man himself, because Sir Terry wouldn’t be Sir Terry if he was easily replicated. His death has left a hole in the literary world. As readers, our only salve for this wound is the many wonderful novels he had left us with. But it will never be enough. It is not only his work that is beloved; it is the man himself. Every time we turned a page, we fell in love a little more. It’s time for another of Danielle E. Shipley’s Wilderhark Tales. Book six, The Surrogate Sea, comes out next month, and I’m taking part in the cover reveal. Look at it. Yum. So what’s it about? Danielle E. Shipley’s first novelettes told the everyday misadventures of wacky kids like herself. …Or so she thought. Unbeknownst to them all, half of her characters were actually closeted elves, dwarves, fairies, or some combination thereof.When it all came to light, Danielle did the sensible thing: Packed up and moved to Fantasy Land, where daily rent is the low, low price of her heart, soul, blood, sweat, tears, firstborn child, sanity, and words; lots of them. She’s also been known to spend short bursts of time in the real-life Chicago area with the parents who home schooled her and the two little sisters who keep her humble. Introducing Gates of Erebus, a dark paranormal, fantasy, and science fiction anthology featuring some of the best indie authors from around the world. And me. Towards the end of last year I was approached by Su Williams about a fantasy anthology she was planning on putting together. Su wanted stories a bit on the darker side, and I jumped at the chance to have something published in the company of some great writers. It had also been a while since I had written a short story, and I felt like stretching some unused writing muscles. Short stories are very different to novels, being more of a snapshot of narrative. I think of them more as raising a point, where a novel would raise the issue, explore its themes, and resolves its plotline. My story started with a very simple concept. If you were to imprison a vampire, because they live forever, their guards would spend their entire life in the monster’s company. What would happen if a guard, on her way up the ranks and fighting in wars, had to chance to understand killing and evil from the point of view of the vampire? On One Side, a Monster tells the story of an ambitious soldier who returns to the vampire at various points in her life. But is she looking to understand, or is she looking for guidance? Gates of Erebus is an anthology featuring short stories on a range of subjects, from deadly serious to darkly humorous. You can get it in Kindle and in Paperback, and all profits go to the charity Reading Is Fundamental. You can find the buy links at the bottom of this page. So that’s another book on my published shelf. Hopefully a couple more will join it; the second Laslo Kane book for starters. Which reminds me, I’ve got some chapters to write. Those with a particularly sharp mind may have deduced from a short series of dastardly subtle clues that today’s post is going to be about a book launch. Danielle’s imaginative re-tellings of popular fairy tales bring a new level of magic and wonder to the stories we all think we know so well. And now it’s time for the hotly anticipated 5th installment in the Wilderhark Series. So read on folks, and enter the competition to get your hands on some fantastic book-themed goodies. Spot Danielle E. Shipley in the wild: Website / Blog / Facebook / Twitter / Goodreads. I’m rather flattered to be taking part in Danielle Shipley’s cover reveal. 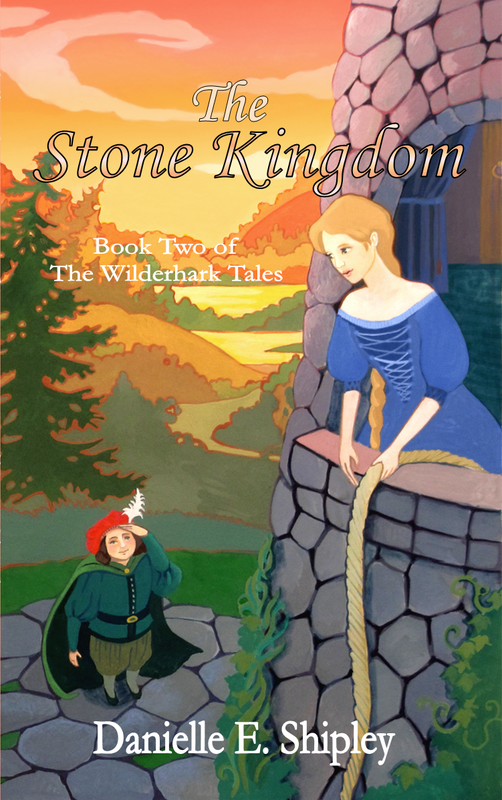 The Stone Kingdom is the second book in series of reimagined fairytales, The Wilderhark Tales. It’s out in September, so keep your eyes peeled. For now, here’s a look at the cover for the new book. Also, check back soon, as I’ll be posting my review of the first book, The Swan Prince, which is available now. You’ve heard the stories – of young men scaling rope-like braids to assist the tower-bound damsel; of gorgeous gowns appearing just in time for a midnight ball; of frog princes, and swan princes, and princes saved from drowning by maidens of the sea. Tales of magic. Tales of adventure. Most of all, tales of true love. Danielle E. Shipley’s first novelettes told the everyday misadventures of wacky kids like herself. …Or so she thought. Unbeknownst to them all, half of her characters were actually closeted elves, dwarves, fairies, or some combination thereof. When it all came to light, Danielle did the sensible thing: Packed up and moved to Fantasy Land, where daily rent is the low, low price of her heart, soul, blood, sweat, tears, firstborn child, sanity, and words; lots of them. She’s also been known to spend short bursts of time in the real-life Chicago area with the parents who home schooled her and the two little sisters who keep her humble. 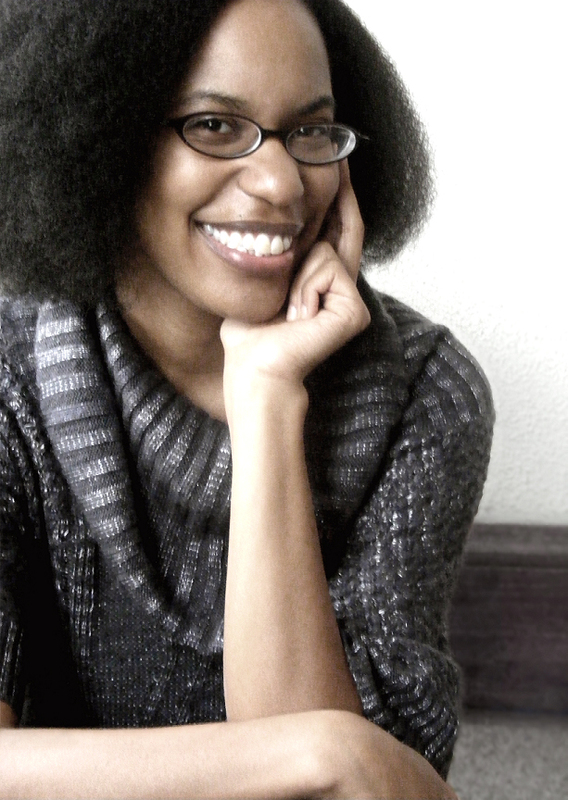 When she’s not living the highs and lows of writing young adult novels, she’s probably blogging about it at www.EverOnWord.wordpress.com. Add “The Stone Kingdom” to your Goodreads shelf today!